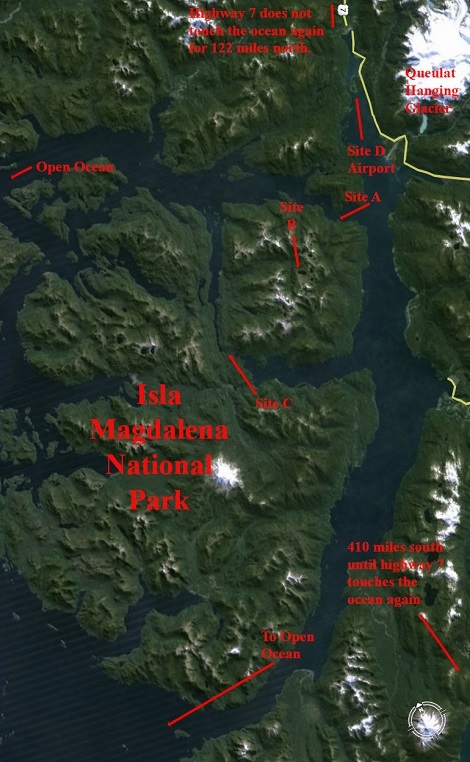 ISLA MAGDALENA-- SELLING SECURE, PRIVATE–ISLAND, SCIENTIFIC LABS. 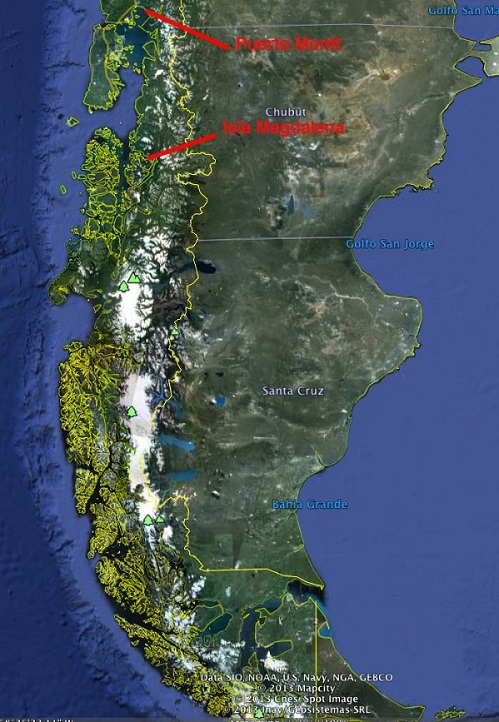 Not to be confused with another Isla Magdalena with the same name, our Isla Magdalena is at the same latitude as Eugene Oregon or Nice France, whereas the other island with the same name also in Chile is far in the south near Antarctica. 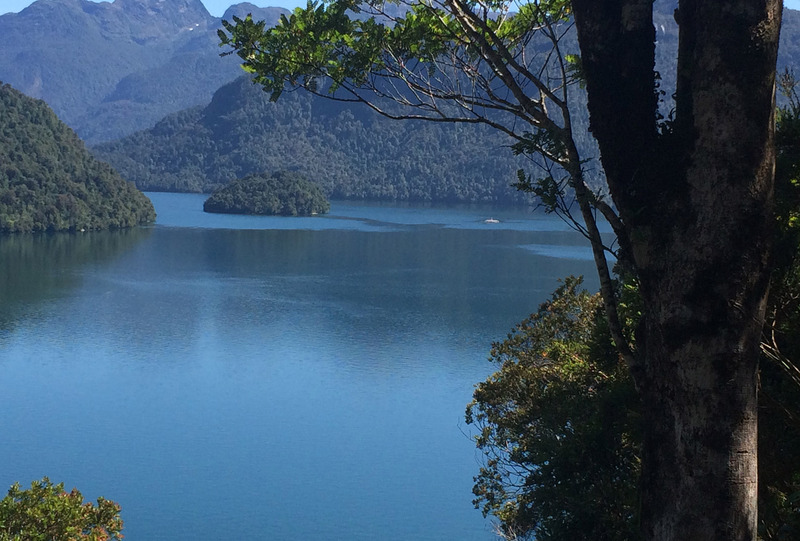 We are bringing leading scientists to our paradise, who will live and stay in excellent quality housing with labs available and second-to-none scenery and views. We would use the massive revenues from bulk glacier water sales to fund this scientific innovation. 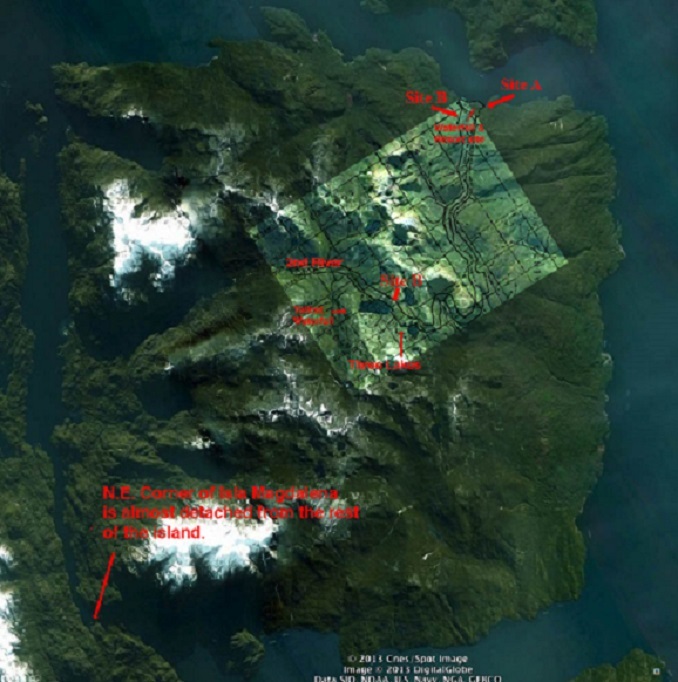 In this regard, there is about 220m along the easterly ridge of our planned building site which could accommodate luxury properties or units that would all have spectacular fjord views. Along this ridge approximately 10 detached properties could be built, each being over two floors with a total floor area of 250-300m2 (125-150m per floor). This would leave a gap of approximately 50ft in between each property, which, together with the vegetation, would make them private. They would each have views out over the sea and mountains, and most would probably have a decked veranda/terrace. Although these properties would be designed to blend in with the surroundings, inside they would be of the highest quality, with under-floor heating, Jacuzzis in the bathrooms, stone or hardwood floors, Italian kitchens etc. This might all sound modern, but the idea would be to lure leading scientists to stay, particularly universities with their large endowments for research. 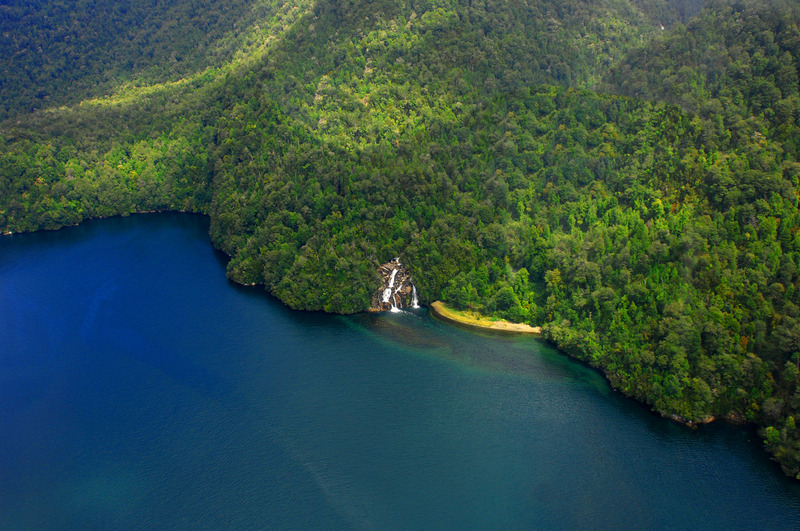 Situated in the prime position cantilevered over the granite cliff directly above the waterfall would be the main lodge building, with an extended decking area offering the best views from the whole site. This would of course be where the restaurant, bar, library etc are located. All these face the opposite direction that the ships for water would come in, and the area of the ships cannot be seen from anywhere on the building site so as not to disrupt the spectacular views. We would suggest to build 7-10 pure visitor units that would be sold and leased back to visitors by the owners of the residences. Some or all of these would be individual chalets situated in various locations, particularly along and directly above the cascading river. They would probably be 60-80m2 in size. There could be units/rooms above the restaurant and bar. These would obviously have great views, although they would not be as exclusive, secure, or beautiful as individual units in the center of the jungle site. Other features such as a dedicated sloped presentation/training facility would all be included. In total we are planning a maximum of 20-25 individual chalets, designed by architect Antoine Predock, in order to maintain the privacy of a private island—otherwise with too many units it is not a very “private” island.